Ice, Ky. (January 11, 2019) – A two vehicle crash Thursday afternoon resulted in the death of a Whitesburg woman. Kentucky State Police Post 13 in Hazard received a call concerning the collision at 12:49 p.m. on January 10. 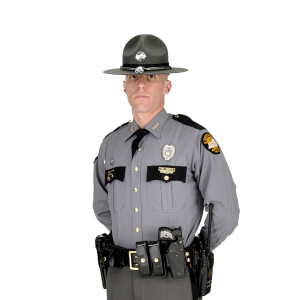 Trooper Bruce Kelley along with Letcher County Sheriff’s Department and Letcher Fire and Rescue was dispatched to the scene on Highway 588 in the Ice community. The initial investigation determined that Brenda Skeens was operating a 2013 Toyota Corolla in the westbound lane of HWY 588 when she attempted to turn left onto Ice Road. While turning, Skeens’ Corolla collided with a 2003 Jeep Cherokee which was traveling in the eastbound lane. 64 year old Brenda Skeens of Whitesburg was pronounced deceased at the scene by Letcher County Coroner Renee Campbell. The driver of the Jeep, 37 year old John Sturgill of Whitesburg was transported to Whitesburg Appalachian Regional Medical Center for treatment of injuries received in the crash. He was later transferred to Pikeville Medical Center. An autopsy was performed today at the State Medical Examiner’s Office in Frankfort. Toxicology results from specimens obtained from Sturgill and Skeens are pending. Brenda Skeens was wearing a seat belt at the time of the collision while John Sturgill was not. This incident remains under investigation by Detective Brandon Thomas with KSP Post 13.